Enjoy a preview reception held at the Historic Nunn-Winston House on the grounds of Kiesel Park. Artists in the Southeast are invited to submit works for this competition. More than $1,000 in awards will be presented. This reception is free to the public. 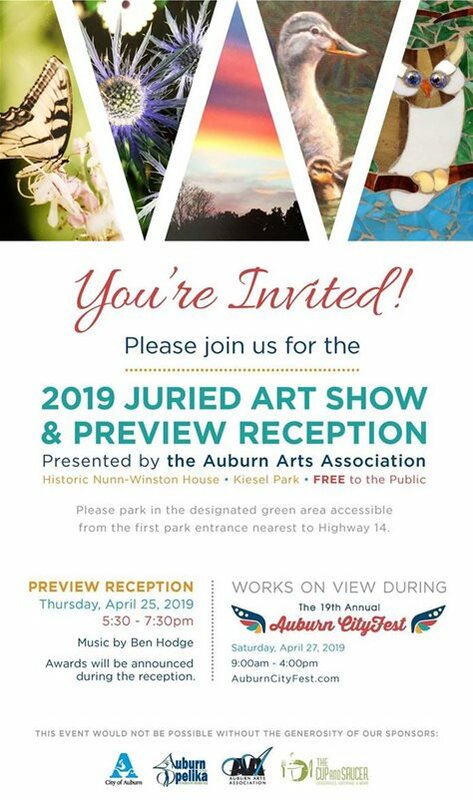 Artists interested in participating can download an application at auburncityfest.com.